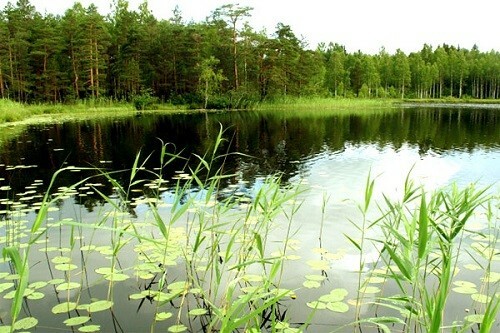 Lake Cheko – small freshwater lake in Krasnoyarsk Krai, Siberia, near the Podkamennaya Tunguska River, located 8 km from the epicenter of the explosion of Tunguska meteorite in 1908. 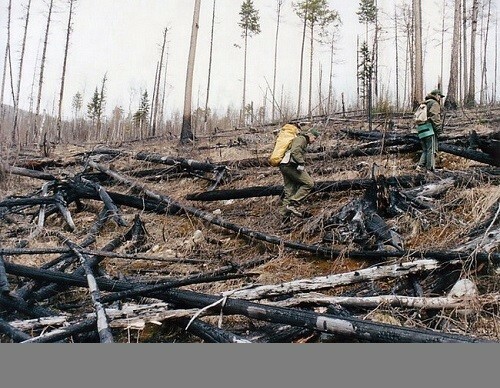 As a result of the Tunguska catastrophe in the Krasnoyarsk region appeared several well-known anomalous zones. Most famous anomalous zones of Russia. In Russia there are a lot of places where unusual and mysterious phenomena are found. Nearly everyone who visits such places experiences something unknown, enigmatic, some presence of miracle forces. Nearly everyone feels here a frightening discomfort of soul, negative influence on the human health has been noticed. Some of these places are said to be landing – spot of UFO. It is necessary to mention that some of these anomalous places on the contrary, have only positive influence on the human health. There are cases of full recovery of the sick people without any medical treatment. Healthy people feel the improvement in all spheres: physical, mental, spiritual, moral, etc. One’s soul becomes cleaner, higher and calmer. 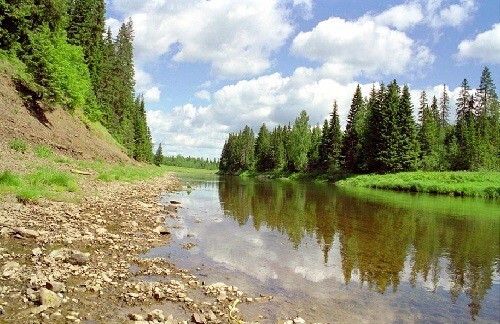 Some most famous anomalous zones of Russia are situated in distant regions, deep province where an access is difficult, thus it is sure to be ecologically pure. The nature is very picturesque there. Wonderful woods full of berries and mushrooms, beautiful rivers and lakes enable to combine research work and rest perfectly. Molyobka anomalous zone – paranormal region in Perm Krai, Russia. 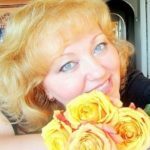 Molyobka anomalous zone – paranormal region in Perm Krai, Russia. Perm anomalous zone, also called the M-triangle, spans an area of 70 km2 around the village of Molyobka, known as center of UFO apparitions. Parts of the Perm anomalous zone have no natural magnetic field. In the summer of 1980 a local resident Pavel Sergeyev observed falling space body in this strange place. According to Sergeyev, the object fell into a pond, the waves rose more than ten meters high. In October 1984, the Permian ufologist and stalker Emil Bachurin, watched the purple ball that rose out of the forest. 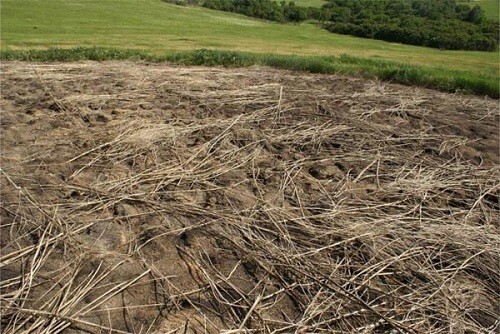 At the site of intended landing of the object he found thawed place diameter of 62 meters. Soon Perm anomalous zone seriously interested researchers and journalists, and later it became a place of mass pilgrimage of tourists. 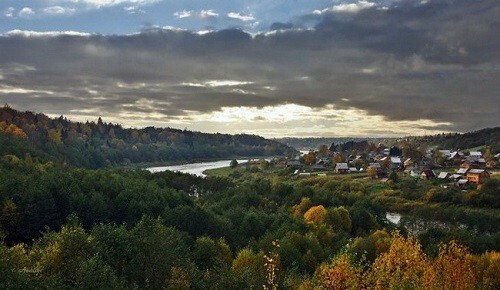 One of the most beautiful places in Molyobka, which offers great views of the area and the river Sylva. 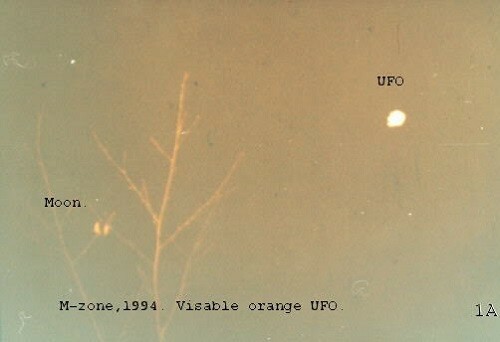 In 2005, UFO expedition from Yekaterinburg worked in Molyobka triangle. One night, a few ufologists went for the emerged glowing ball. Soon they had a strong feeling of anxiety and they stopped the persecution. On one of the taken pictures was discovered a strange glowing beam directed to the head of one of the members of the expedition, Michael. In the morning ufologists noticed that Michael has completely disappeared from the camp. He was never seen again. Vitim epicenter, or Bodaybo event occurred near the town of Bodaybo in the Mamsko-Chuisky district of Irkutsk Oblast, Siberia, on September 25, 2002. 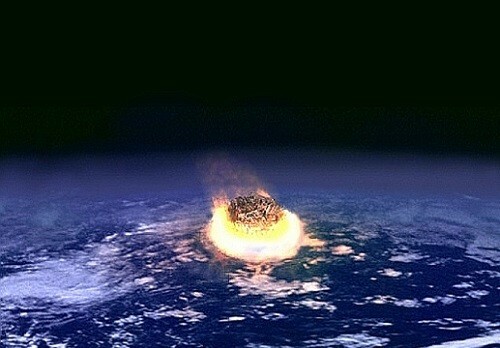 The Tunguska catastrophe here repeated on a smaller scale. Shock wave broke window glass from windows within a few tens of kilometers. Lada range, or Zhiguli mountains has long been known for its paranormal activity. Repeatedly over the centuries, there were recorded sightings of UFOs and various light poles of unknown nature. There are mentions of various mirages that arise over Zhiguli mountains: in the form of a ghost town or a tower. Some legends say about some white dwarfs living in the mountains as well as the ghostly elders, appearing out of nowhere. Local folklore associates unexplained phenomena with a mysterious mistress of Zhiguli Mountains. 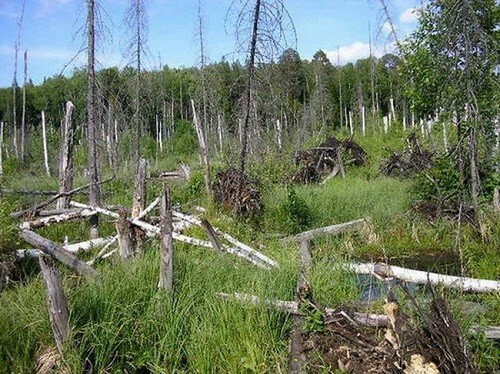 Ferris swamp, Novgorod region – prodigal place. It’s easy to get lost, and the compass spins like crazy. Once in these places lost two women. One of them was found a month later in a state of insanity, and soon died. The second was found by the gardeners, and she claimed that ran across the swamp on an invisible wall, which didn’t let her reach out to people. Residents of nearby villages told to ufologists that they often see in the sky subtle balls hanging over this swamp. And here they see the night mysterious glow. And at least once every six months, the sky over the pond like a huge powerful searchlight illuminated. 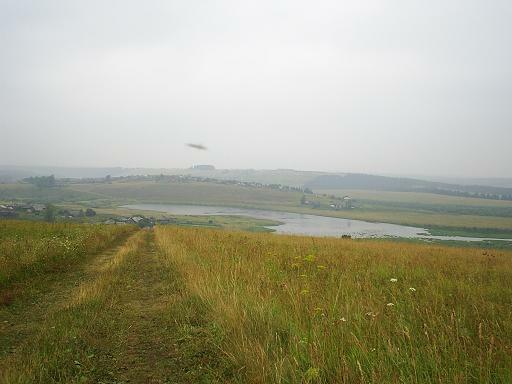 Shaitan lake near the village of Okunevo Omsk region, Siberia. According to legend, under its bottom is the oldest Hindu temple. In 1991 followers of the guru Sri Babaji came to Okunevo, where they staged a Hindu shrine. The fact is that this area has a special power. Near the old dilapidated chapel near the village of Chapel of Pavlovsky Posad district is located, in the opinion of ufologists, place with the strong geopathic power. The forest around this place is whimsically curved, summer grass somehow keeps radiating circles. Here there are UFOs moving shadows, flashes, strange sounds, and other anomalies . In the old days in this place located Trinity- Chizhsky churchyard, and the local say the source of mysterious phenomena are disturbed dead. 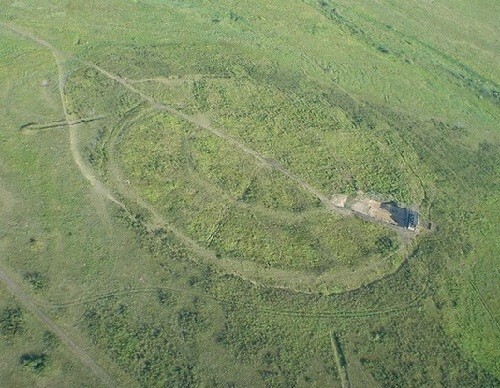 Arkaim, an archaeological site in the Southern Urals steppe, Chelyabinsk Oblast. Official science refers to the Arch fortified Bronze Age settlement, dating it about overseas 3rd – 2nd millennia BC (4000 years) or even later time. Some researchers have suggested that the city was built 12 or even 40 thousand years ago. According to the famous ufologist Vadim Chernobrov, “flying by helicopter over Arkaim really impresses. Clearly visible in the vast steppes concentric circles. Town and the neighborhood very often circled. Till the end it is not clear what is the point of these giant figures – defensive, scientific, educational, ritual? The district of Arkaim is an anomalous zone, where are seen strange celestial lights, malfunction devices, racing radiation and other unexplained phenomena. Mountain of dead, or Kholat Syakhl is a mountain in the northern Ural region of Russia. 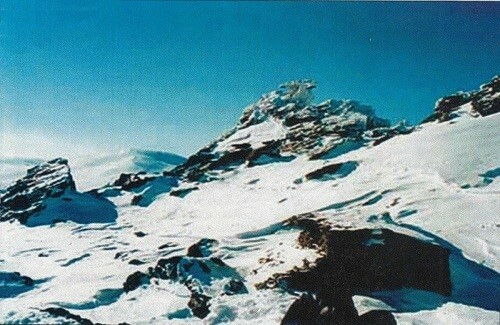 In 1959 a group of ski hikers led by Igor Dyatlov mysteriously perished on the east shoulder of the mountain. Something terrible happened. 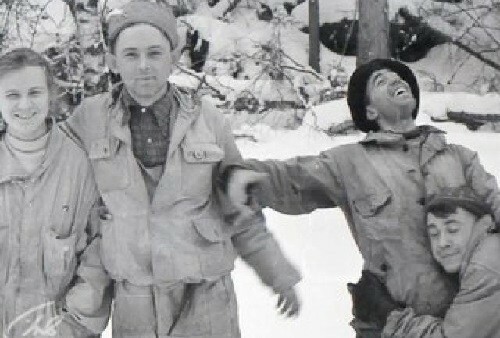 As investigators later found by cutting wall tents with knives, campers in panic fled down the hill. Ran, who’s in what was, in underwear, half naked, barefoot. Later, the bodies of all nine group members were found down the slope. Most died of hypothermia. Several people had terrible internal injuries, while the skin was not damaged. Very different versions of the tragedy were existed, from everyday life to the fantastic, but none of them did not fit the circumstances or did not have the necessary evidence. 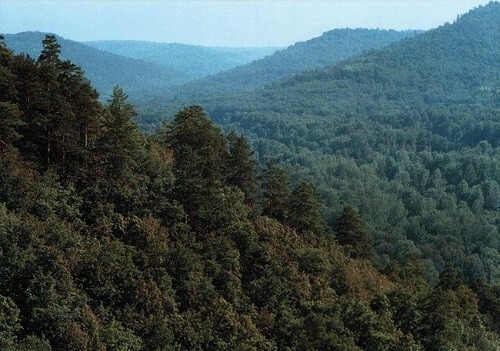 Malaya Vishera forest, Novgorod region, where, according to witnesses, lived a small population of hominoids. 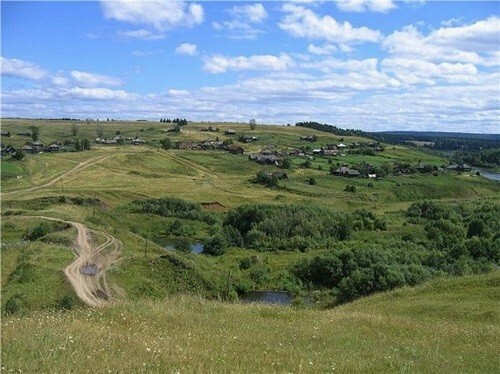 Local residents gave the name to the inhabitants of the forest – “avdoshki”. 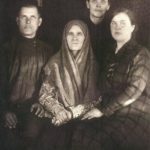 As the local legend has it, once upon a time in the village lived a woman Avdotia. No one wanted to marry her, because she was very strange. She was not able to live with people, and went into the woods. 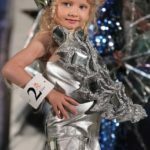 She was seen the first year, the second year, and then disappeared. One of the hunters had seen her with a wild man covered with thick hair. The wild couple had hairy children, whose faces were covered with hair too. 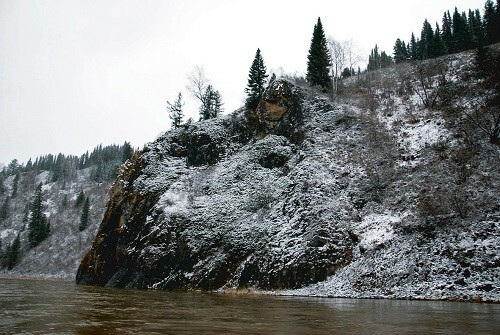 In February 2009, the administration of the Kemerovo region spread information that the Mountain Shoria, in the taiga near Azasskaya cave, which is 500 kilometers from Kemerovo, local hunters have seen humanoids. They are 1,5-2 m tall and covered with hair. 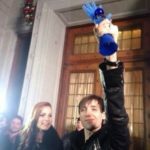 This was followed by a series of news about Kemerovo hominoids in local and nationwide media. 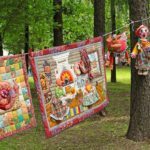 In the Kemerovo region has begun “yetimania”. At one of the gas stations even erected a monument to the Yeti and local firms have been actively selling tours that include visiting the “Yeti ‘s site” – Azasskaya cave. 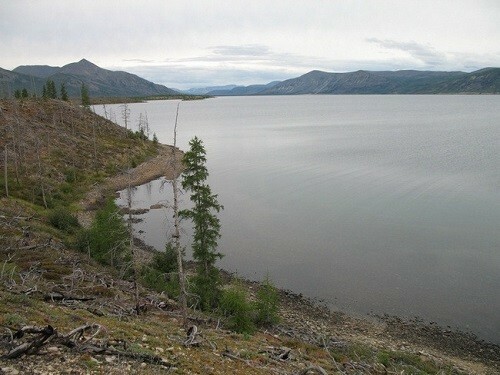 Labynkyr Lake in Oymyakonsky Ulus, Sakha Republic. By legends Labynkyr is a place of a dreadful monster, a relative of the Loch Ness monster. Russian media have reported evidence of a large monster there. in 1999, the group made an expedition to the remote Labynkyr Lake, which situated in one of the coldest places on the Earth. 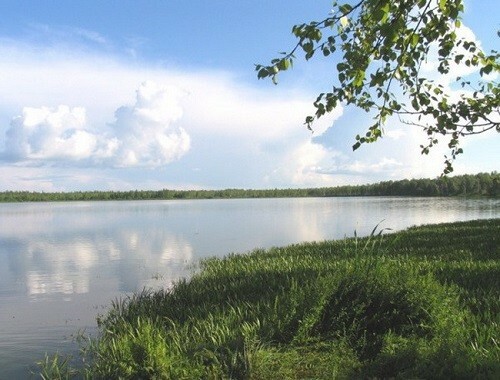 Lake Brosno is situated in the Tver region. Since ancient times, there are legends about the Brosno dragon periodically attacking people on the boats. Presumably the monster hides in the karst caves in the bottom of the lake. 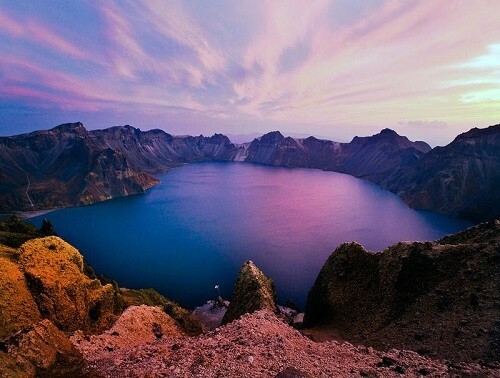 The lake’s depth is about 43 meters (140 feet) at its deepest point, and it has a sunken church on the western part of it. Strangely, the lake carries burbot and perch, two species of saltwater fish. Russian writer Alexander Myagchenkov, author of the book “UFO – Unannounced visit”, says that “incidents that have happened in that area are hard to believe, and it cannot be compared to any other place”! Myagchenkov claims that people who have visited the M-Triangle have sometimes developed astonishing powers and super-human abilities.